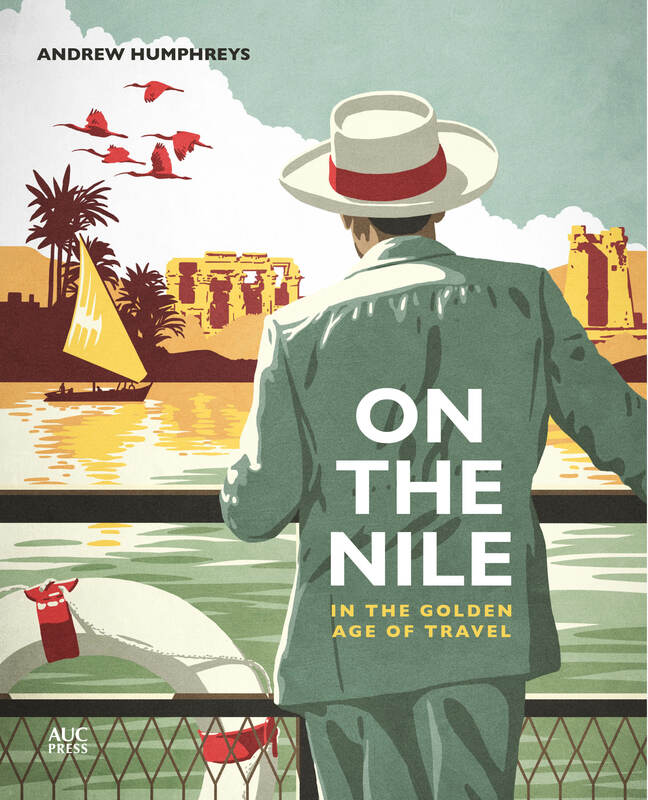 There has been some welcome coverage of On the Nile in the UK press: travel mag Wanderlust featured it as one of its ‘8 summer reads’ in the August issue and there was a great half-page review (‘A sense of romance positively oozes from every page of this delightful book’) by explorer Robin Hanbury Tenison in the 29 July issue of Country Life. 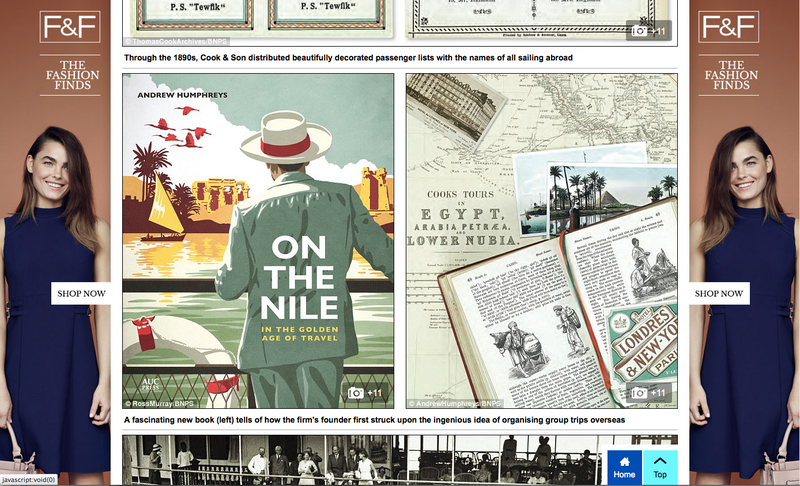 The online Telegraph ran a picture gallery linked to the book, as did the online travel section of the Daily Mail. Humphreys’ beautifully produced account of tourism’s golden age is largely the story of what became of Cook & Son, from its internal politics to its ties to government and the British Army – in 1884 all tourist activity was halted, as Cook’s steamers were commandeered by the Gordon Relief Expedition, a hiatus which was followed by the launching in 1888 of a fleet of ‘floating palaces’ so grand that bathrooms were included in the fare, instead of being optional extras. 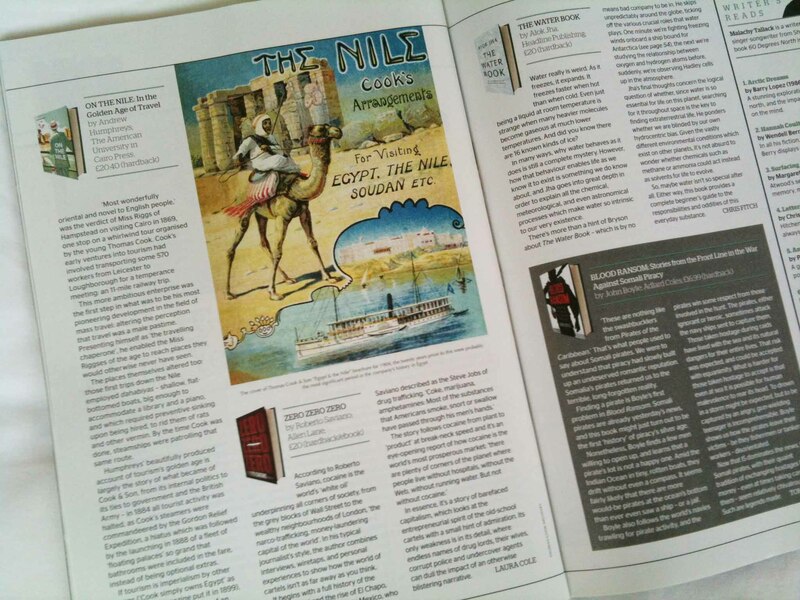 I see the Telegraph and Audley Travel mention that Agatha Christie travelled on the Sudan on her 1933 holiday. Does your research with Cooks, etc. bear this out? I can find no reference to which ship she sailed on. I have found nothing to say she sailed on the Sudan. It could just as easily have been the Arabia or Egypt. 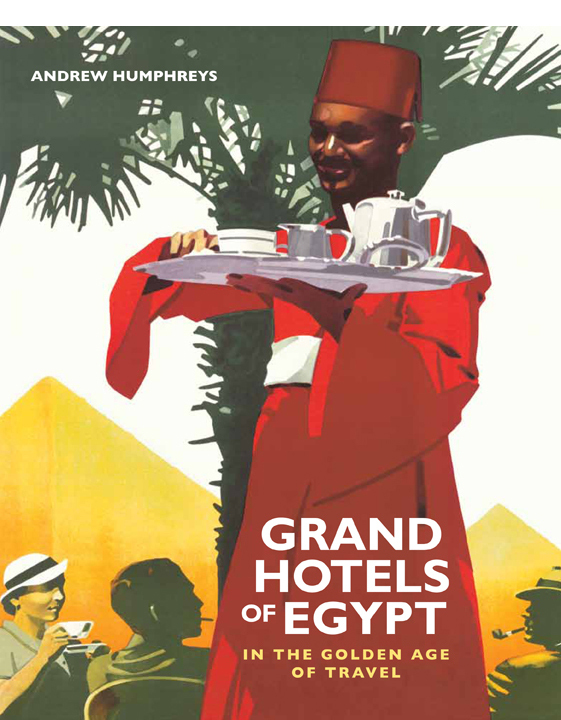 All three boats were operating the Cairo-Aswan service for Thomas Cook during this period. In fact, there is no absolute evidence to say it was even a Thomas Cook boat – although chances are that it was given that these were by far the best boats on the river. I have been in touch with the people who look after the Christie Archives and they are unable to even confirm what year(s) Christie was in Egypt, let alone what boat she was on. I think the Telegraph and Audley Travel are making things up! Thanks for your kind comment on the book. It’s amazing how these “facts” get created and then repeated in the press and on the internet. I was happy to see in your book you corrected on which ships the 1978 & 1004 “Death on the Nile” films were shot. For years Wiki & other sources had it wrong, even after the DVD had detailed information on production locations.